30 min. dance class is designed for our youngest dancers who want to express their independence without the assistance of mom or dad. Dancers will have fun learning pre-ballet movement to popular children's music. Enhance your child’s sense of rhythm and coordination with this beginner dance program. Through creative movement exercises set to Disney music, your child will learn creativity, motor control, balance and self-confidence all while having fun. Dancers will learn ballet technique to Disney Princess and stretch to imagination creations. Props such as pom poms, hula hoops, parachutes and bean bags are used to enhance the learning experience. Class sizes are kept very small to assure plenty of individual attention for our youngest dancers. 30-45 min. class for tumblers ages 3-12yrs. Will offer your child an introduction to the fundamentals of acrobatics with a focus on tumbling. Learn basic tumbling exercises and stretches. By learning the benefits of flexibility, balance, strength and body control inherent all aspects of tumbling, your child will be better equipped to safely enjoy and excel in all of his or her future endeavors. This popular 1 hour class for dancers ages 4-6 yrs.is designed for students to express their individuality through the art of dance. This class is built on the basic movements learned in the Creative Dance class but is still appropriate for the first time dancer. At this level, students will learn more challenging tap and ballet skills through imagination activities and movement games. Dancers are just starting to learn technique and balance. This class combines Ballet and Tap. Dancers will spend 30 min. of Ballet and 30 min of Tap. This class includes Barre work, across the floor and center floor exercises. 30 min. up beat class for dancers 4-8 yrs. with little to no dance experience. A modified verison of the Hip-hop I class. This class includes warm-up, stretches and combinations to today's up beat pop music. Using songs from Disney Network, Beyonce',and Kid Beats. Dancers will learn about isolations, accomplish sit-ups and moves across the floor. 1 hr. 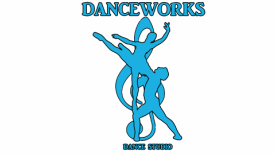 high energy dance class for ages 8-12 yrs. that infuses the latest styles of street dancing, breaking, popping, and locking.with knowledge of how to move their bodies. Using the latest sounds of rap, R&B, pop music together with movements influenced by some of today's video choreography. This is an intensive class of stretching, and exercises including sit-ups, push-ups and planks. This is a fast pace version of Kidz Bop. Classes will encourage students to step outside of the box by bringing their own individual style and personality to the movements. Hip-hop dance requires students to have the strength and stamina to successfully perform moves. Students will learn classical ballet techniques and terminology. The foundation of all dance, contributes directly from the development of grace, poise, balance, flexibility and discipline. Each class includes barre exercises, center floor work, and across- the- floor combinations. The ballet curriculum is based on a combination of French, modern, Vagonova and Cecchetti methods. As students progress the curriculum will become increasingly more complex and intricate. Rhythm and timing skills are essential to building a solid dance education. Tap classes offer an upbeat and fun approach to rhythm and dance (Broadway style). Students will learn a variety of tap styles. Exercises focus on building flexibility of the knee and ankles, coordination, and speed of movement. The class emphasis is on developing proper tap technique, clear tap sounds, and having fun. As students progress the curriculum will become more complex and intricate. Jazz class focuses on learning proper dance technique such as freestyle dance with combining isolations, strength, coordination and style. The jazz dance classes offer several different styles including classical jazz as well as lyrical. Curriculum is based on ballet technique layered with traditional jazz movement and proper warm-up, stretches, isolations, across-the-floor progressions, and combinations. Ballet is required. Designed for intermediate to advanced students with previous training in ballet. Students will explore partnering and weight sharing exercises combined with basic techniques and skills from ballet, jazz and modern. It emphasizes interpretation of music lyrics while telling a story with movement that can be fluid or abstract. As students progress the curriculum will become increasingly more complex and intricate. Students must take this class in conjunction with a ballet class.